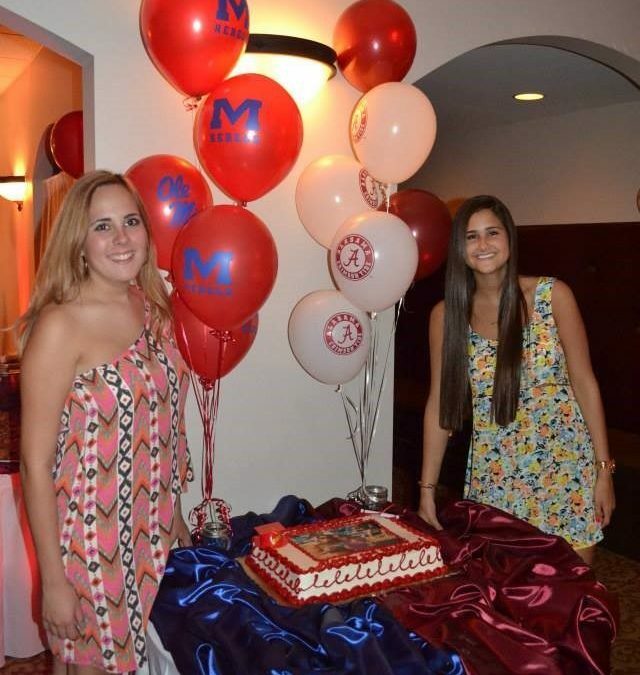 It is that time of year and a Graduation Party is a great way to honor your recent graduate. When someone graduates from either High School or College, it is tradition to wear a Cap and Gown. How did this start? It actually began in the 12th century and was more used to help students remain warm; however, over time, it has transitioned to incorporating the school colors along with tassels and ropes for honor and significance of either awards received, level of education and/or the subjects studied. The Cap is also rooted in older periods – mainly becoming popular in the 14th and 15th centuries. They were originally worn to signify superiority and intelligence and were usually red in color representing blood and life. Today, the caps vary in color depending upon the school. As time moves forward, our traditions change. In past, graduation celebrations were more family oriented and low key. Today; however, families tend to go all out to provide a celebration to include catered food, gifts, and a party to rival wedding receptions. If you have a family member who is graduating, you may want to find out if family members of other graduates want to go in with you to rent space at a party venue, a limo, etc… to provide a celebration that will not be forgotten! Our Marietta and Roswell party venue is located in a convenient and quiet location. Gala Events Facility offers very competitive pricing, wonderful preferred vendors to assist you in determining the right food to be served, photographers to capture all those wonderful shots to be cherished for years to come and even work with entertainment vendors who can provide DJs, lighting and other options to capture the feel of the evening. Let Gala Events Facility help you plan the event, at our party venue in Marietta, that your graduate will always remember and cherish!